A man who has shared the ring in sparring with both WBC heavyweight champion Deontay Wilder and former champion Tyson Fury can only see one outcome in the fight. The pair are expected to fight in the US before the end of the year on Showtime pay per view in the US. On BT pay per view in the UK. A formal announcement of the date and venue is expected before the end of next week. Many have commented that the fight is too early for Fury to take into his comeback. But, it just goes to show the bottle Fury has and what he’s really made of mentally, that he would put his undefeated record on the line and step into the ring with such a dangerous puncher so soon. 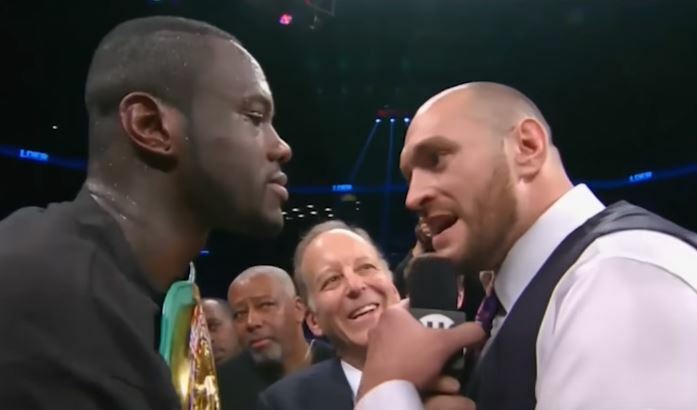 Despite all the negativity from people saying Fury will get flattened, the bookies seem to have the fight a very fifty-fifty affair and give Fury as strong a chance as Wilder as winning. This bout is far more competitive than most people think.